Call Jason @ 763.286.4277 to Sketch Your Next Remodeling Project! TJB Homes Remodeling has been a family-owned endeavor since 1980. Jason Budzynski of TJB Homes Remodeling shares his process of remodeling homes. 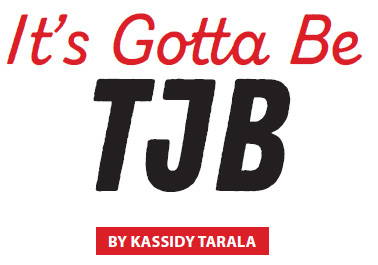 A family-owned business, TJB Homes Remodeling was founded in 1980 by Jason Budzynski’s father with the goal of transforming people’s homes and lives. Today, 38 years later, TJB Homes Remodeling continues to thrive in the Budzynski family, with Jason as the head of the remodeling division. Budzynski says his passion for construction and home remodeling started at a young age, which led him to following in his father’s footsteps. By 14 years old, Budzynski was already capable of trimming out and finishing a house by himself. Having followed the rest of his family and joining the TJB Homes Remodeling team, Budzynski now plays an active role in engaging with clients and helping them better understand the home remodeling process. “I first meet the clients to discuss the scope of the project. From there, we discuss details and budget. Once we’re on the same planet of rough number pricing, I work on sketch plans, then onto CAD (2D) drawing. From these plans, we add enough structural detail to provide a complete estimate. If needed, we do offer 3D renderings,” Budzynski says. 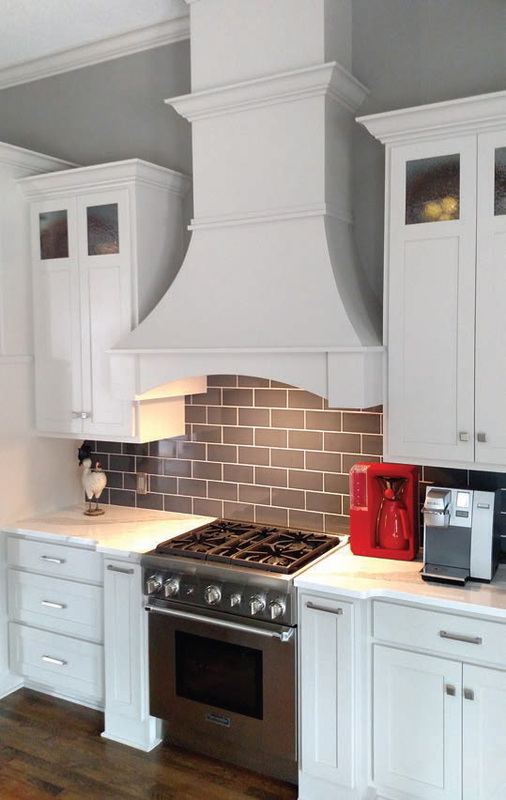 According to Budzynski, TJB Homes Remodeling is known for its ability to specialize in essentially any projects or designs that their clients are looking for. From a project as simple as a window replacement to a more complex one like building a new basketball court for your backyard, TJB Homes Remodeling is willing to work with you on whatever it is your home needs. “TJB is a custom home builder and full service remodeling contractor to handle all of your remodeling needs. Kitchens, baths, porches, additions, garages, sport courts, whole home, window replacements, complete demo and rebuild and more. We do not specialize in one thing, we specialize in it all,” he says. TJB offers remodeling for any area from kitchens and bathrooms to porches and garages. 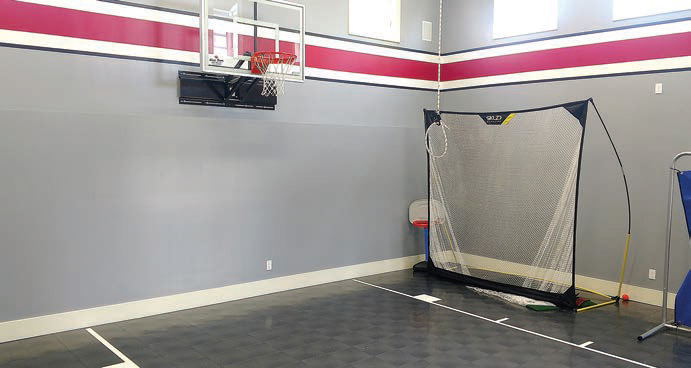 Want to revamp your indoor basketball court? TJB handles remodel jobs both simple and complex. 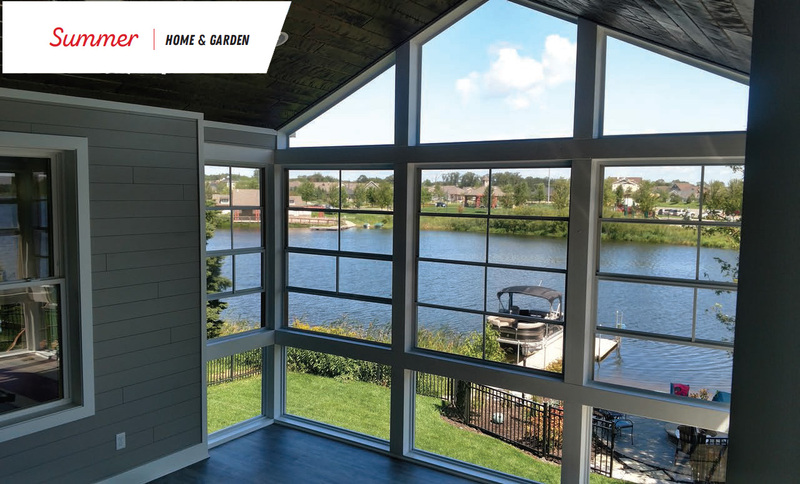 If you’re looking to escape the frequently frigid Minnesota climate, but you don’t want to leave the sun behind, Budzynski says a popular home feature that many clients are interested in is a sunroom. With a sunroom, clients are able to create virtually any room they want, all while soaking in every last bit of heat this northern state has to offer. Whether you’re looking to add a dinette, formal dining room, breakfast room or possibly just a lounge room for guests, a sunroom is a great addition to any home. “A popular trend I’m really seeing is bringing our outdoors inside with 3-season sunrooms. Also, the use of blended materials is still really hot among clients,” he says. Budzynski says he works alongside his clients through every step of the home remodeling process, beginning with the first meeting and ending with the final remodel reveal. He says he prides himself in becoming very close with the clients he works with, and he even considers many of them friends by the end of the remodeling process. Among the TJB Homes Remodeling clientele are several GLBT clients, says Budzynski. TJB Homes Remodeling can help create unique, inviting spaces for all of its clients, and they hope to continue growing their GLBT client base. TJB works alongside clients every step of the way, from the initial meeting to then final remodel reveal. 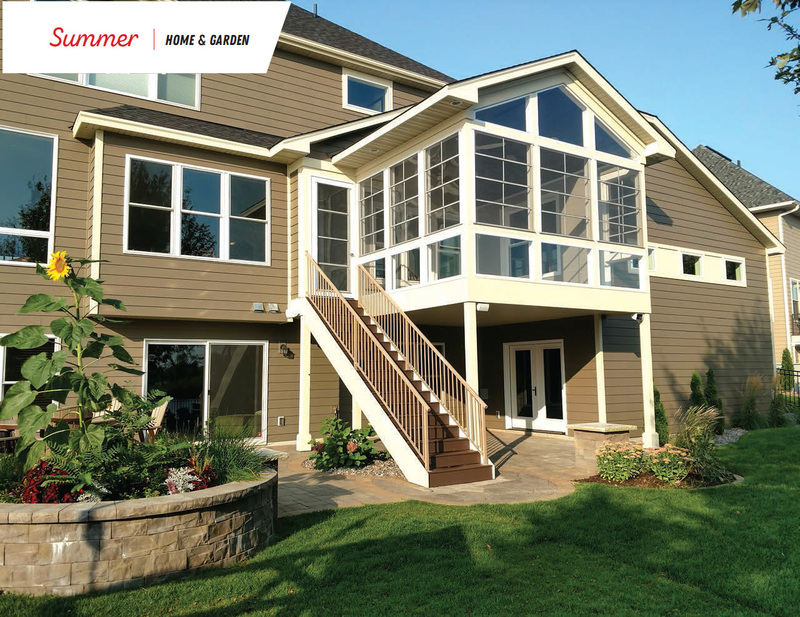 TJB Homes Remodeling can help you soak in the warmth with three-season sunrooms. “We have a significant GLBT clientele. I completed four projects last year for the community out of the 28 total projects that I completed,” Budzynski says. Known for establishing welcoming, friendly relationships with clients, TJB Homes Remodeling isn’t just founded and operated by family; it makes everyone feel like family. 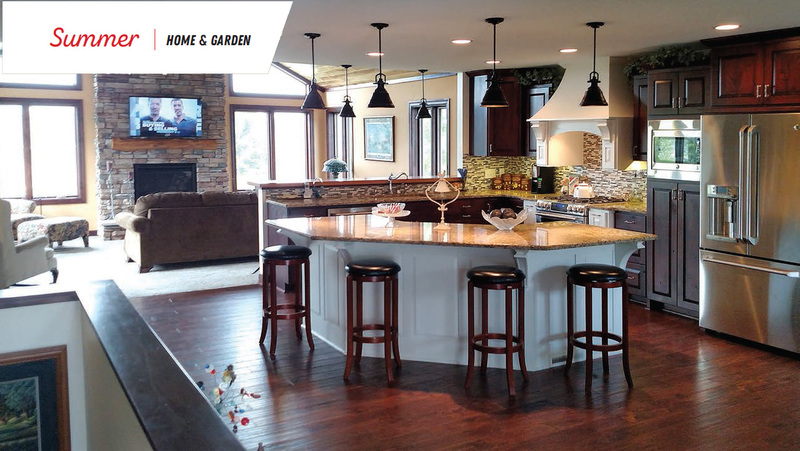 From outdoor projects like porches and sport courts to indoor projects like sunrooms and kitchens, TJB Homes Remodeling has seen it all, and they’ll be there every step of the remodeling process to ensure that your home is filled with spaces that reflect your own individual personality and uniqueness. With the slogan “We do remodeling ONE way, YOUR way,” TJB Homes Remodeling definitely knows custom home design and construction. All Plans © 1996-2018 TJB Remodeling WARNING! Copyright pending. Any plans on this web site are the creative ideas of TJB Remodeling. Any unauthorized use, reproduction or copying for use on a plan or new home is strictly prohibited. Any violation will result in prosecution to the full extent of the law. Prices subject to change without notice. MN Lic. #1845, WI Lic. #1129514. Please note: Prices and specifications are subject to change without notice. Builder is not responsible for any errors on Web pages. Management Specialties is not responsible for any errors on Web pages. ©2018 Responsive Website Design by Management Specialties Web Services, LLC.